You are starting and you want to understand discipline basis, choose the private lesson. You are searching for a progression in the long term; our cycles are made for you. You are practising a sport regularly, subscribe for the duration you want. You like diversity and you are searching for flexibility, choose freedom with the multisport card. It allows you access to the rental service and the main activities one by one and without pressure. It offers you 10% reduction immediately. With subscription or free-choice, access to 2 200 hectares of protected nature and tread upon our driving range and 9-hole golf course with your ball. Go on the instructive paths of the islands with a nature guide and discover the Grand Parc differently. Kick balls outdoor or indoor to develop stamina and speed. Shiver and hurtle down our two zip lines above the lake of the Eaux Bleues. Live with nature, in the fresh air and go on the Grand Parc paths. 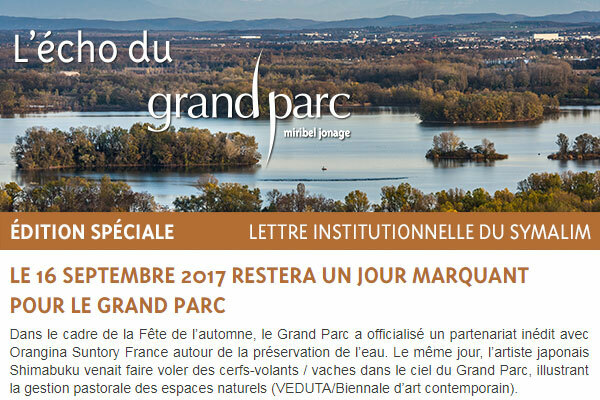 Discover the extraordinary natural heritage of the Grand Parc Miribel Jonage on one of the fifteen orienteering. Go all the day renting your equipment and enjoy all our open-air equipment.